Neil Caldwell has come up with something that is pure genius. He has created the color wheel of bacon! No, this isn’t some graphic design trick (although Neil is a graphic designer). 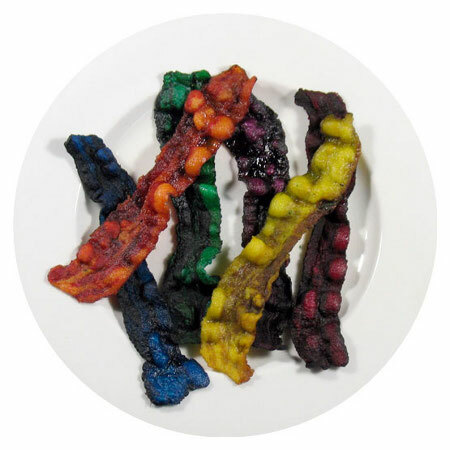 This is real, genuine colored bacon.